If you ever needed proof that QRP is good fun and very rewarding, look no further than my latest project. I just (today) finished building the QRP Labs Ultimate 3 kit. This kit is amazing and I've ordered mine with the 20m BPF as thats the lowest band my home Antenna will go to. In its current configuration my kit only pumps out 200mW and I left it running while i went out to a party with the family. On my return I was staggered by the reach on the little kit. The longest distance it was heard was a staggering 6408Km ! 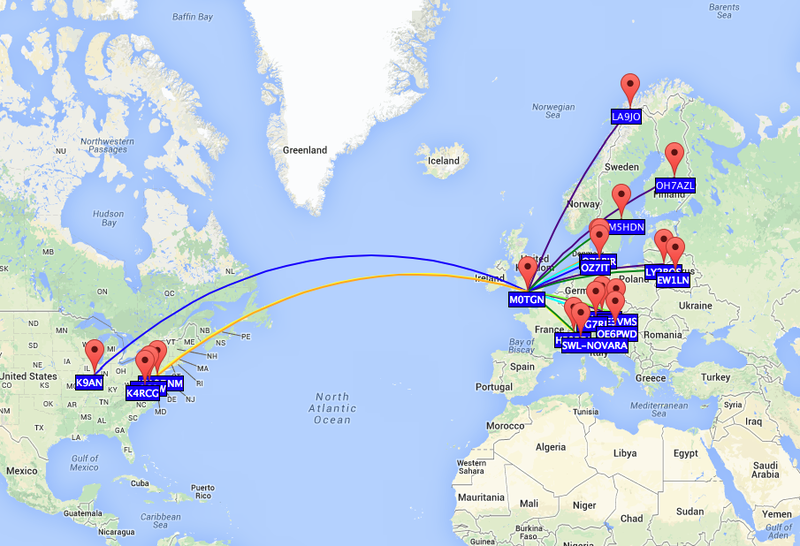 all that way with just 200mW of RF..
and a list of the stations that heard it. 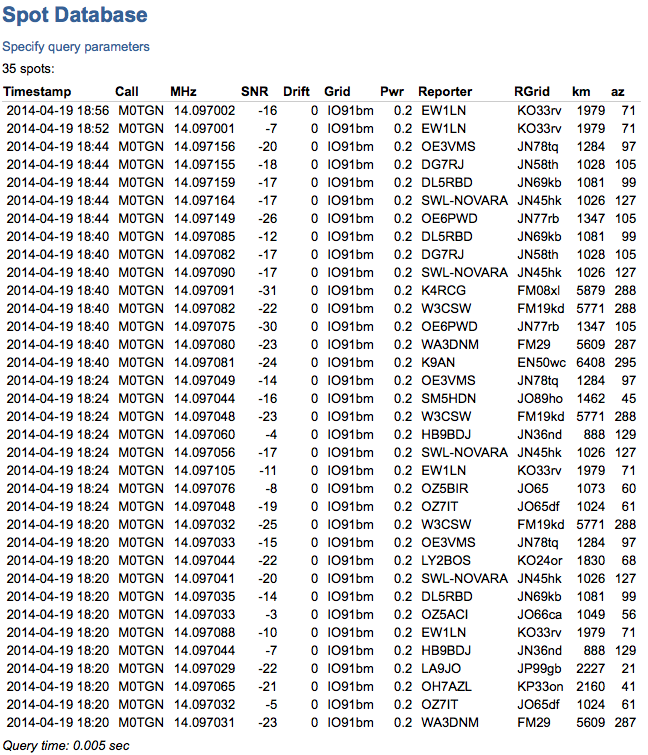 You will notice some frequency fluctuation. I have to box the kit up and think about some stabilisation on the DDS. but hey for its first outing - I'm very happy !